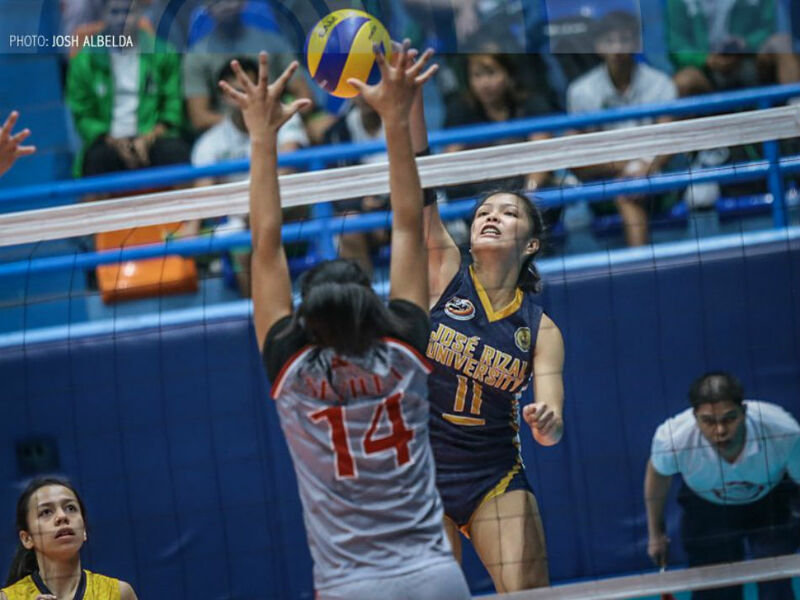 MANILA, Philippines – Jose Rizal University (JRU) and University of Perpetual Help waylaid their respective opponents to complete the Final 4 cast of the NCAA Season 93 women's volleyball tournament on Tuesday at the FilOil Flying V Centre in San Juan. The JRU Lady Bombers got another superb performance from skipper Shola Alvarez as they downed Lyceum of the Philippines University, 25-13, 23-25, 25-11, 25-12. The victory gave JRU a 6-3 win-loss record at the end of the elimination round, good enough for the fourth seed. This is the first time that the Lady Bombers have made the Final 4 in the NCAA. Alvarez fired 23 points on 16 attacks, three blocks, and four aces, while adding nine digs and six excellent receptions for a strong all-around game. "I'm so happy for myself and the team, because we will get to play in the Final 4 for the very first time," said Alvarez, who is battling San Beda University's Cesca Racraquin in the NCAA MVP race. In the second game, Perpetual Help outlasted De La Salle-College of St. Benilde (CSB) in a four-set thriller, 27-25, 23-25, 25-11, 32-30. Cindy Imbo had 16 points, Lourdes Clemente added 15 markers, and the Lady Altas weathered an error-strewn performance to finish the elimination round with a 7-2 win-loss record. Perpetual Help returned to the Final 4 after missing the cut last season. 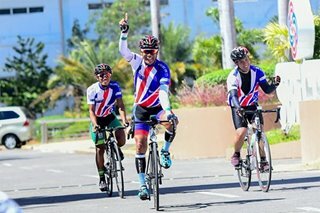 Moreover, they gave head coach Macky Cariño a win over his former team. "We were determined to get this win, because we didn't want to play in the playoff," Carino said. Had Perpetual lost, they would have fallen into a three-way tie with JRU and CSB for the last two Final 4 spots. If that happened, then the team with the highest quotient will get the No. 3 spot, while the bottom two face off in a knockout duel on Friday. Instead, Perpetual and JRU advanced outright. The Lady Altas will face off against No. 2 San Beda, while the Lady Bombers take on No. 1 seed and defending champion Arellano University in the Final 4. The NCAA Final 4 starts on Friday. Arellano and San Beda both ended up with 8-1 records, but the Lady Chiefs took the No. 1 seed due to a better tiebreak. CSB, champions two seasons ago, settled for the No. 5 spot, tied with San Sebastian College (5-4).